Seamless gutters are one of the most popular and most effective ways to divert rain water to a spot where it won't damage your property. 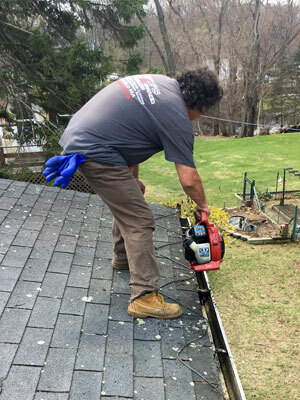 While older gutters are prone to clogs, seamless gutter installations are designed to eliminate the joints where leaves and other debris would tend to get stuck and cause backups. 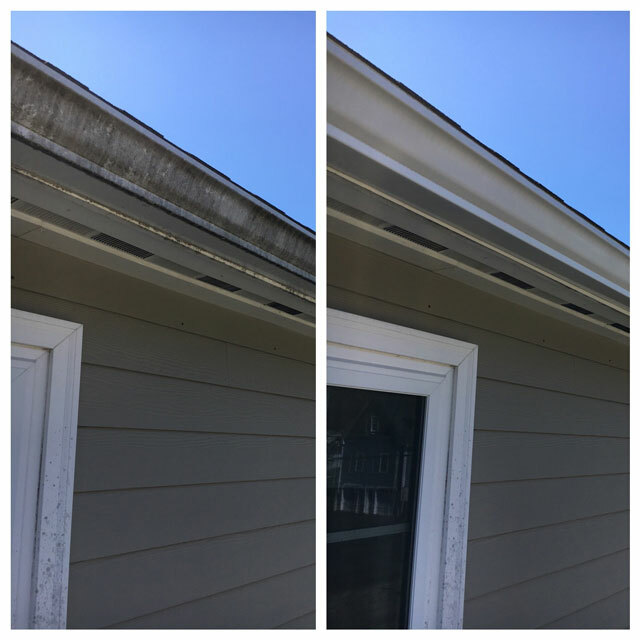 Though seamless gutters greatly reduce the risk and frequency of clogs, rain gutter cleaning is a necessity from time to time, no matter what kind of gutters you have. Heavy gutters filled with water, leaves, or other debris can cause many problems including roof strain, mosquito breeding, or even foundation erosion; regular rain gutter cleaning is the only way to ensure that your gutters perform well and do not age prematurely. Our services include a full cleaning of your gutters with the best tools available. Also while your gutters get cleaned , it is often beneficial to combine another service like window cleaning. 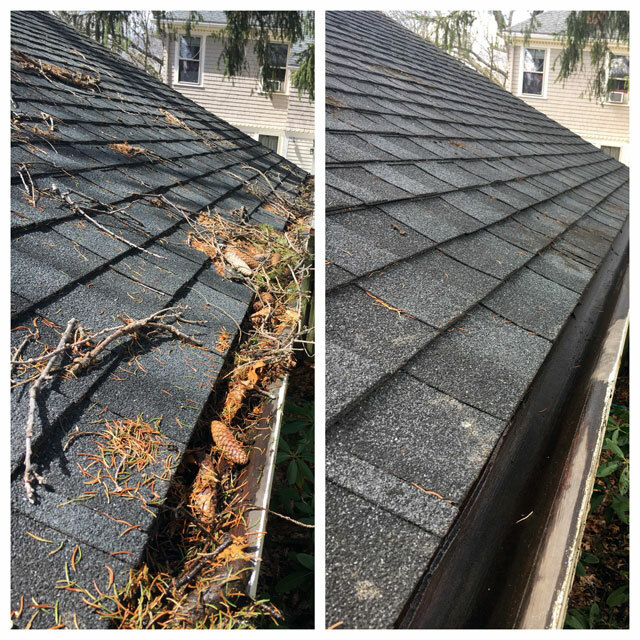 We clean gutters all year round! Offering exterior gutter cleaning in spring and summer! Call us today for a free estimate!